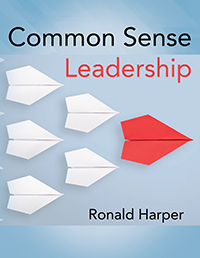 Ronald Harper’s “Common Sense Leadership.” Understanding your workforce and understanding how to create an environment that optimizes it makes sense. Use a different approach to leading by working with a psychological base. Psychology and leadership can work together to benefit you as you share it with others. This book can also show you how to manage energy, validate achievement and manage spiking attitudes.